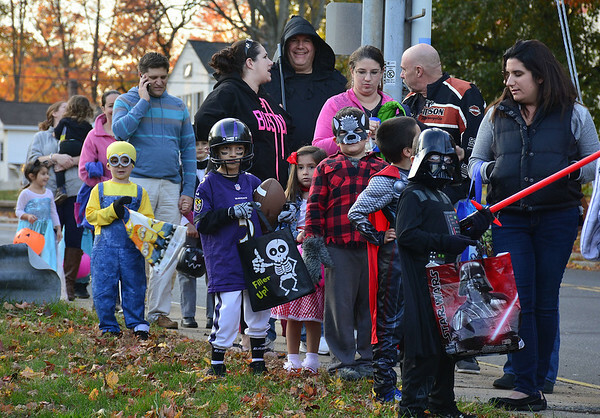 SOUTHINGTON - Halloween in the Village returns Oct. 25 to Plantsville, with the streets decorated for the spooky season and area businesses offering candy treats to costumed kids who stop by. The event, which is geared toward elementary and middle school aged children and their families, will be held from 5 to 8 p.m. on West Main Street. The street will be closed to traffic and decorated with Jack O’ Lanterns, spiders, ghosts and other eerie iconography. 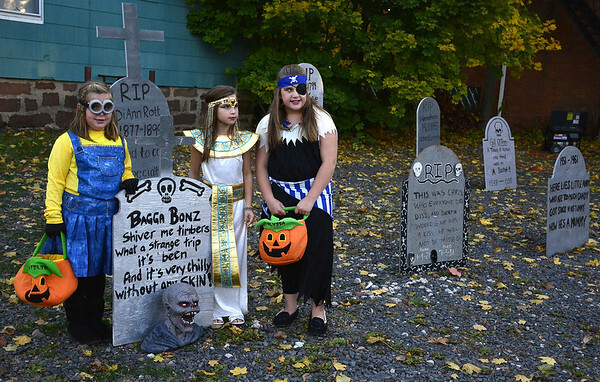 Joanne Alfieri, one of the event organizers with the Plantsville Village Association, said that in past years Halloween in the Village has attracted more than 1,000 children and their families. “Parents get dressed up along with their kids and come out in droves,” said Alfieri. Alfieri said most of the businesses in the area will be open, decorated, and offering some sort of treat or fun activity for visiting children. There will also be booths set up lining the street for community organizations, such as the STEPS Coalition, which will be giving our brochures and candy. Entertainment for Halloween in the Village will include Dance City and the Arts putting on a dance show, Valentin Karate doing a karate demonstration and a DJ playing Halloween music. Alfieri encouraged families to dress up and come enjoy a frightfully fun evening in Plantsville. Families who bring their children to Halloween in the Village are encouraged to park at the village green or along Summer Street. For more information on the Village of Plantsville Association, connect with them on Facebook at Facebook.com/Plantsville. Posted in New Britain Herald, Southington Herald on Monday, 15 October 2018 19:51. Updated: Monday, 15 October 2018 19:53.